NTCC Drops road game at Carl Albert. 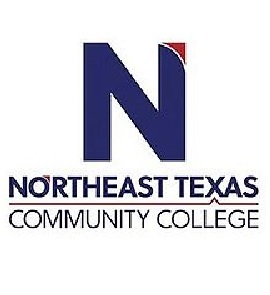 Northeast Texas Community College could not hold the lead against the Carl Albert State College Vikings, the Eagles were leading 7-6 in the bottom of the ninth inning when Jaylen Patterson hit a two-run home run to seal the victory. There was a crowd on the base paths in this high-scoring game. Carl Albert collected 13 hits, and the Eagles had nine. NTCC got on the board first after Andy Deleon singled and then stole second base, Deleon later scored to put the Eagles up 1-0. The Eagles scored three more runs in the top of the third behind the hitting of Cody Cleveland and Matt Scheurich to lead 4-0. Carl Albert scored four runs in the bottom of the third to tie the game at 4-4 making the lead short-lived. The Vikings scratched out another run in the 4th to take the lead 5-4. In the top of the fifth inning, NTCC regained the lead after Jonathan Carrillo laid down a sacrifice bunt, scoring one run and John Michael Russ scored off a Scheurich double to the left. Both NTCC and Carl Albert would plate runs in the 7th inning giving the Eagles a 7-6 lead over the Vikings. Hunter Riley took the loss for NTCC after allowing three hits and two runs over the final one and two-thirds innings, striking out one and walking zero. Scheurich and Russ each had multiple hits for NTCC with Scheurich going 3-for-4 at the plate to lead the Eagles in hits. Despite playing error-free ball, NTCC could not come away with the win. The Eagles return to action on Thursday, April 4, at Bossier Parrish Community College to begin the second round of conference play. You can catch NTCC at home again Saturday against BPCC starting at 1:00 pm.